NOTE: In the following example, the latest driver of an AE6000 wireless network adapter will be installed. Enter the model number of your network adapter in the Search field and click the model number of the device you need help with from the drop-down list. The product page of your device will then appear. QUICK TIP: If you don’t know the model number and the hardware version of your device, click the How do I find my model number? link. Under the DOWNLOADS section, click Download Software. Select the driver for your adapter and click Download. NOTE: You will be prompted with the End User License Agreement, click the AGREE button. Click Save in the File Download dialog box that appears. Look for the Save As dialog box, choose a location for the file like the Desktop and click Save. When the download is complete, click Close. NOTE: The name of the file may vary depending on the driver file of your Linksys adapter. Go to the location of the downloaded file on your computer and unzip the contents. To do this, double-click the .zip file and extract its contents to a single folder or to the Desktop. For more information on how to unzip files, click here. The latest driver specific for your operating system is now downloaded to your computer. 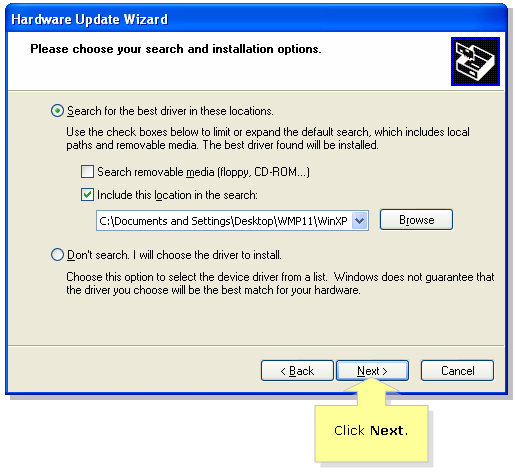 Continue with the procedures below to learn how to install the driver. NOTE: In the following example, the latest driver of an AE6000 wireless network adapter will be installed. Only the Linksys WUBS6400M supports Windows 8.1 and Windows 10. Click on your Charms bar if you are using Windows 8 / 8.1 or click the Windows key and enter Control Panel on the search field. Expand the Network adapters list. Right-click on Linksys AE6000 then click Update Driver Software…. 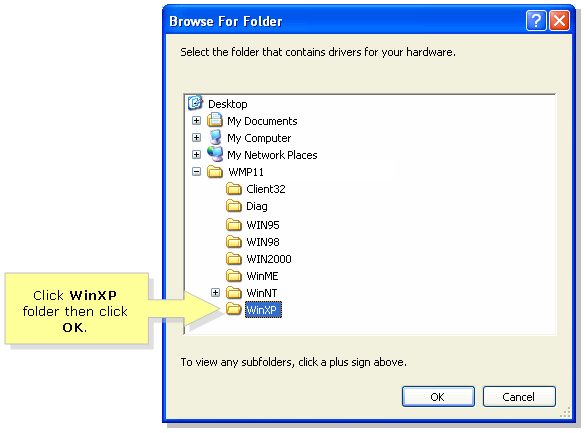 Click Browse my computer for driver software to specify a location or a file to be used for updating the driver of your network adapter. Click Let me pick from a list of device drivers on my computer to specify the driver file. Click Have Disk to browse for the driver file saved on your computer. NOTE: It is recommended to enable the Show compatible hardware option to filter out incompatible options for your hardware. Navigate to the location of the driver file. Select the file then click Open. IMPORTANT: Make sure to select the driver file according to the architecture of your operating system (32-bit or 64-bit). Windows will now begin installing your driver software. Click Close when the update is finished. If Windows asks you to restart your computer, do so. Your network adapter is now updated with the latest driver for Windows 8. 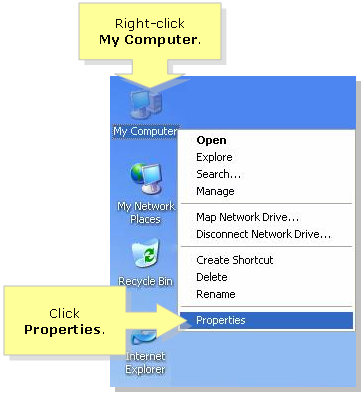 Right-click Computer then click Properties. 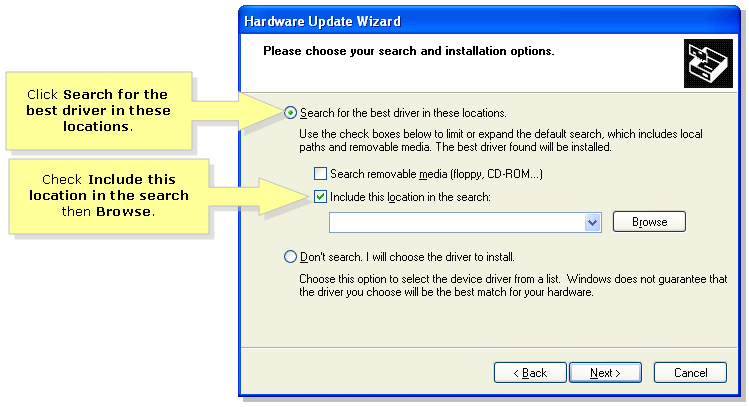 Click Browse my computer for driver software to specify a location or a file to be used for updating your network adapter. Click Next. Windows will now begin installing your driver software. Your network adapter is now updated with the latest driver for Windows 7/Vista. NOTE: In the following example, the driver of a WMP11 wireless network adapter will be installed. 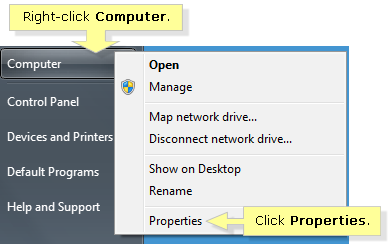 Right-click My Computer, then click Properties. 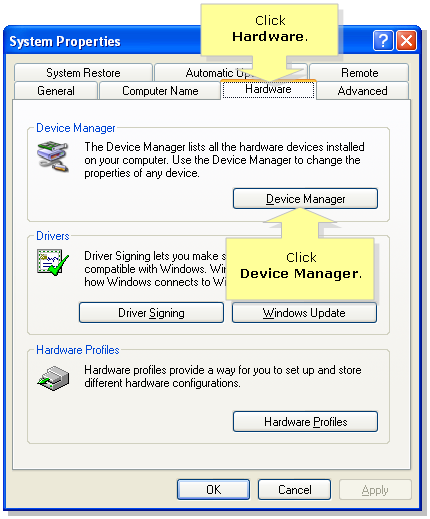 Click the Hardware tab then click Device Manager. Click Network adapters. 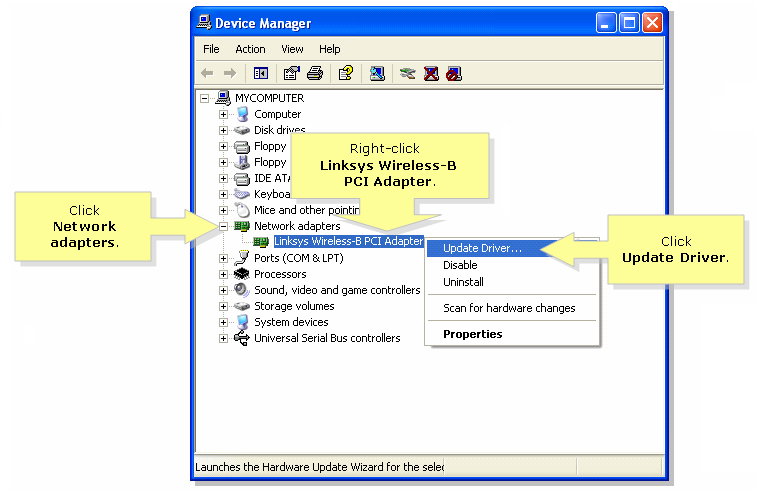 Right-click Linksys Wireless-B PCI Adapter, then click Update Driver. 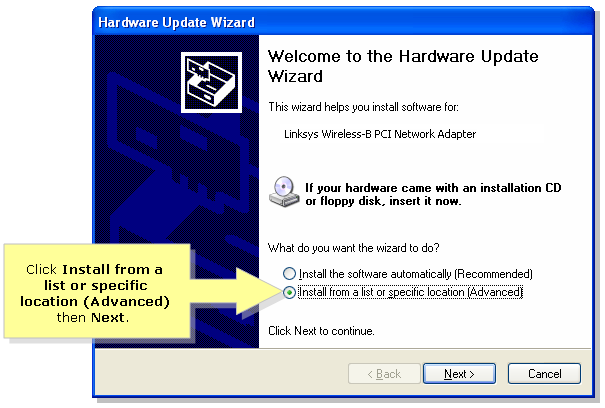 The Hardware Update Wizard window will appear. Click Install from a list or specific location (Advanced) then click Next. Select Search for the best driver in these locations and check Include this location in the search. Then, click Browse. Browse to the location where the driver files were extracted and click the folder. When the folder is selected, click OK.
Click Next to update the drivers of your Linksys network adapter. Your network adapter is now updated with the latest driver for Windows XP.